Whether the heroes are mounting an expedition into the jungle to find the ruins of a lost city or simply looking forward to a vacation in the tropics, no Game Master wants to spend time drawing every tree, muddy path, and half-buried ruin. 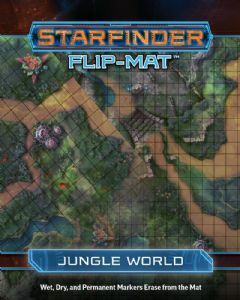 Fortunately, with Paizo's latest Starfinder Flip-Mat, you don’t have to! This line of gaming maps provides ready-to-use science fantasy set pieces for the busy Game Master. This double-sided map features a dense tropical forest wilderness on one side and ancient, overgrown ruins on the other. Don't waste time sketching when you could be playing. 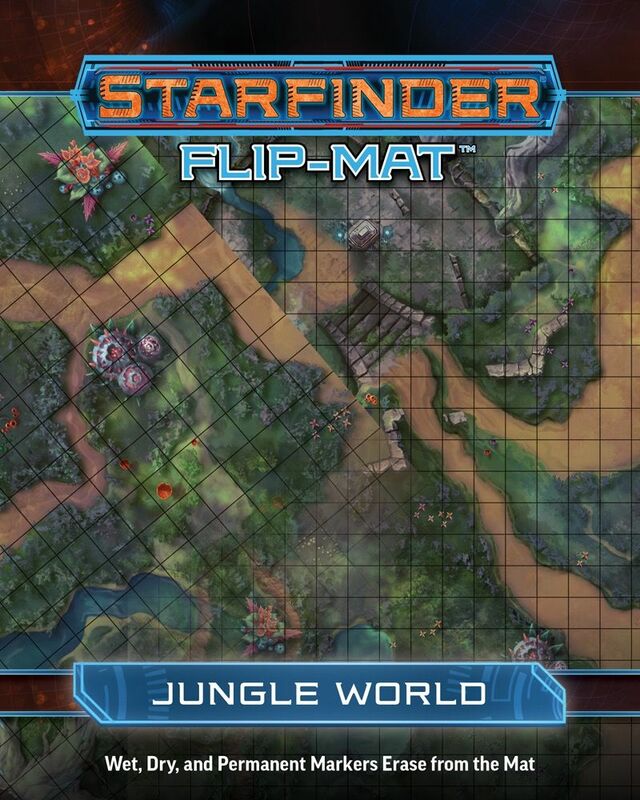 With Starfinder Flip-Mat: Jungle World, you'll be ready the next time your players enter the jungle!